Colored eggs are beautiful, but sometimes those vibrant, swirled colors don't suit our more mature taste. 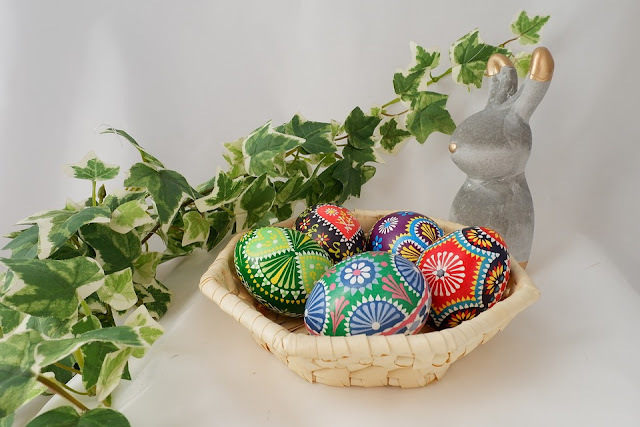 For adults who want to partake in the Easter egg decorating fun, consider these creative Easter egg decorating ideas to create eggs that fit in with your home decor. Utilize a hot glue gun to make textured Easter eggs. Like in the image above, you can take a hot glue gun to create raised designs on your eggs. Once the hot glue has cooled, you can color the eggs with paint or with traditional Easter egg dye tablets. If you plan on keeping your eggs for years to come, it's best to use plastic eggs for this activity, as real hard boiled eggs will begin to rot — and nobody wants their beautiful Easter decorations to smell like rotten eggs! Paint is a fun way to decorate Easter eggs without using dyes. You can use different paint brush sizes to get more intricate details and you don't have to worry about dyes staining your hands or clothes. The best part about painting Easter eggs is that you can create specific designs and images. Kids always have a blast when they're able to draw exactly what they want on an egg, versus just coloring it. 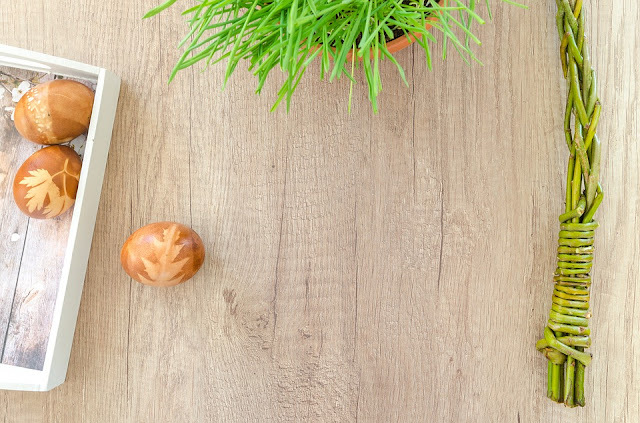 If you're looking for natural Easter egg coloring ideas, consider coffee! It might sound surprising, but you can actually brew dark coffee and let your hard boiled eggs soak in the mixture overnight. In the morning, the eggs will be tinted brown. You can make different "strengths" of coffee, by changing the coffee/water ratio for lighter or darker browns. For extra fun, before sticking the egg into the coffee, attach a leaf or flower to the egg using tape or string. Then, dip it in. When you remove the leaf or flower the next day, it will leave a lighter imprint on the egg! Alternatively, you can use colorful fruits and vegetables like strawberries, blueberries, raspberries, or even beets to help color your eggs. Just mash the fruits or vegetables with a mortar and pestle and then roll your egg around in the natural dyes to give it a beautiful hue. Finally, you can create more natural looking eggs by coloring them natural colors such as baby blue, white with speckles, light brown, light pink, yellow, and so on. 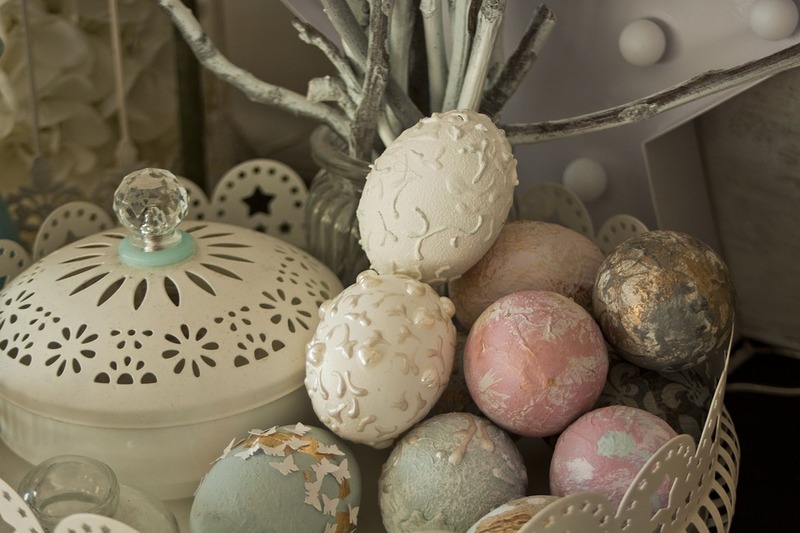 You can create really beautiful creative eggs by using natural materials found in your yard. 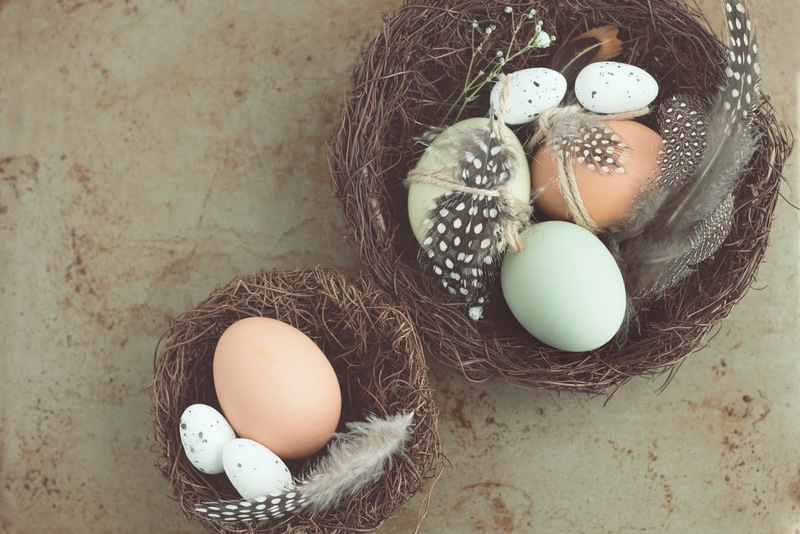 Bird feathers, blades of grass, leaves, and vines can be used to decorate eggs without having to purchase anything. Decorating Easter eggs is a tradition that's been passed down from generation to generation. Traditionally, we use dye tablets, but nowadays there are so many more creative ways to decorate Easter eggs. What are some of the fun, creative ways you've decorated Easter eggs? Let me know in a comment below!